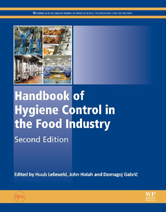 Handbook of Hygiene Control in the Food Industry, Second Edition, continues to be an authoritative reference for anyone who needs hands-on practical information to improve best practices in food safety and quality. The Starting Point: What Is Food Hygiene? 1.2 What Is Food Hygiene? 46.2 Why Have a Hygiene Improvement Audit in the First Place?